I'm a bit in denial about loving Rihanna's music because she doesn't appeal to me as a person, with her abusive relationships, highly sexualised persona, and often skanky videos. But, my word, she has an amazing voice, and really, I've loved every one of her songs. This one is just beautiful. 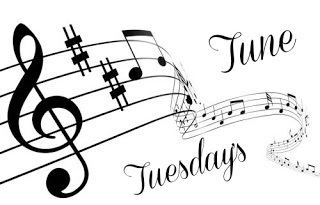 Over at Tuesday's Tune there are some more good songs to enjoy. Go visit! I agree with you on everything you said about Rhianna...and yet I still can't help but love her songs as well. This one is beautiful.